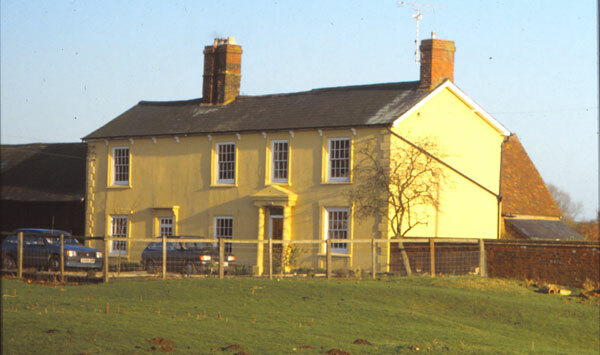 Rands Farm is a 17th-century farmhouse with 19th-century extensions and frontage. It remained a farm after Shipton was enclosed by private Act of Parliament of 1745, when all other farms in Shipton were replaced by enclosure farms in the fields. Its present name comes from the family which occupied it in the second half of the 19th century; it does not seem to have had a permanent name before then. It is now set back from the road but would been right on it before the turnpike was realigned in the 1830s. See the Shipton section for more information. It has been part of the Swanbourne Estate since 1897. After his death the tenancy passed to his son-in-law John Bull. Valuable Yorkshire Cows, Horses, Sheep, Pigs, Hay, and Keeping. COMPRISING 32 in-calf, new-milch, and barren Cows, two-year-old cart Colt, a nag Horse, rising four Years old, by Abomelique; 45 Leicester Ewes, 25 shearhog Sheep, and three Rams; five fat Hogs, five Porkers, and 14 store Pigs; about 100 Tons of prime meadow Hay, and about 100 Acres of fresh Keeping, till the 25th of March, 1818. 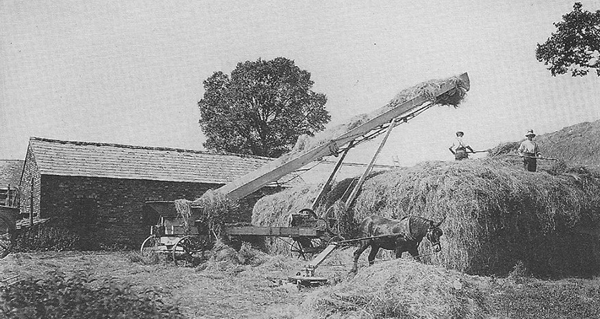 Two Months’ Credit will be given for the Hay and Keeping, with the usual Conditions. Edwin, Thomas, occupier of Lands in his own occupation. Lot 13 A valuable dairy and milk farm known as Rands ... The farm house contains 2 sitting rooms, kitchen, pantry, Dairy, Churn House, Cellar, Wash House and 6 bed rooms. The buildings near the house, which are chiefly brick built and slated, are conveniently arranged round a large fold yard. The northern block consists of a 5-bay open cattle shed, loose box and a 2-bay open stock shed. The eastern block - a box for 4 head, cow house for 6, and another range for 10 head. The southern block - a 5-bay open cart shed, wood house, 8 pigsties, boiling house etc. The western block -stable for 4 horses, nag stable for 2 with loft over and a large barn … 174 a 3r 31 p … let to Mr G.A. Monk on a yearly (Lady Day) tenancy, at a rent of £216 per annum. 1982	D.F. Walker moved to Corkett's Farm. Rands Farm ceased to be a working farm and the land was absorbed by the Fremantle Estate.